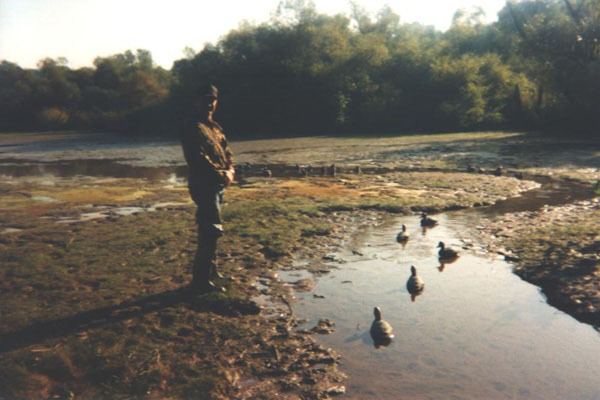 This is a recent Duck hunt this year cant give away the spot though its a secret but it is in the deep water close to the dam. 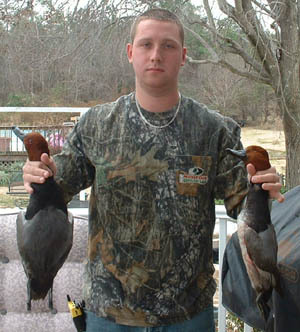 These are 2 redhead drakes I shot next to the last Saturday of the season before it went out. As any duck hunter knows on High Rock it is rare to see redheads so I was absolutely shocked when I saw a flock of 9 fly in and I layed out 2 drakes that was the greatest duck hunt all year. My name is Ryan Mahaley from Salisbury, NC. 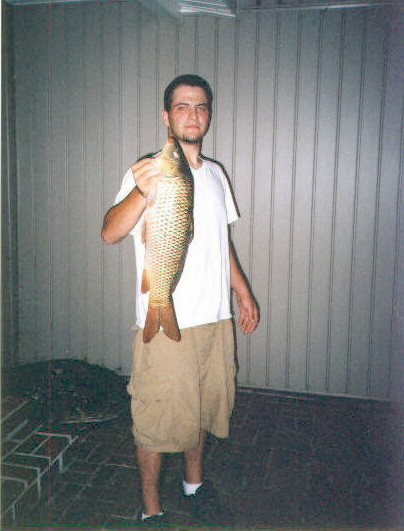 Matt Idol of High Point caught this 10 pound Carp using dough at Midnight on July 4th. 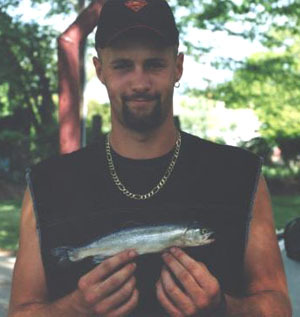 2003 Caught in Abbots Creek. Was released back into the lake. 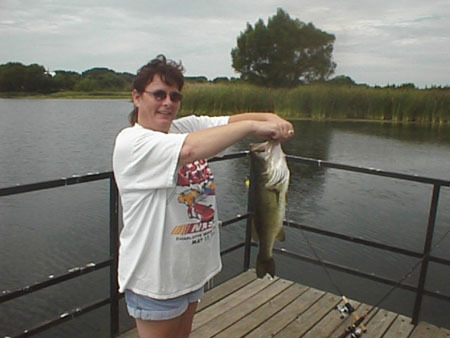 Nice bass caught on Gambler flappin' shad. She is quite a fisherman err... fisherwoman !! 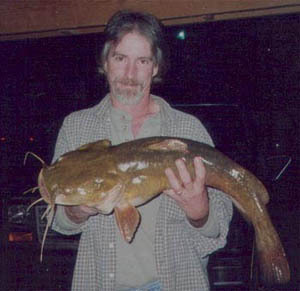 This cat was caught on the bank near the Highway 8 boating access when High Rock was still "Dry Rock". It was caught by 12 year old Logan Milton on live shad just before dark in early September. June 02' High Rock Flathead. 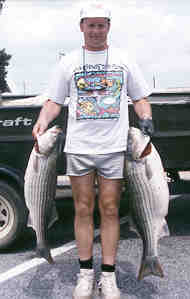 53lbs by Pete Trudniak. 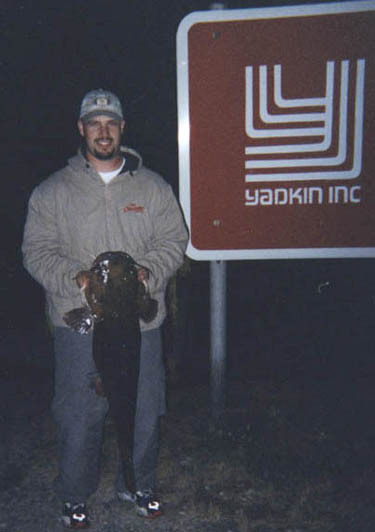 June 02' High Rock Flathead. 20lbs caught by 8 year old Ryan Trudniak. generation down the right road. This 27Lb. 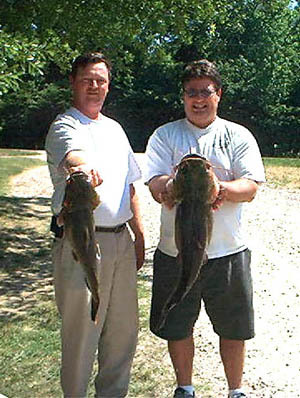 flathead was caught by Brian Parks near Tamarac Marina on live perch. never know what your day will bring !!! Allen Harris on live shad and this was the little one. 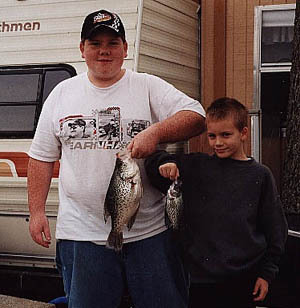 Bradley and Zach Byerly with a couple of their â€œslabsâ€ caught on Abbotts Creek. 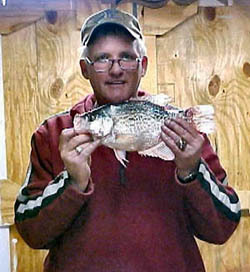 The close-up is the 2lb 5oz crappie Bradley caught on a live minnow. The yardstick donâ€™t lie! James caught this 1 pound 12 oz. slab at Tamarac Marina on March 7th. this year. Rufty Patterson of Spencer and friend had a good day. Stringers like this are not uncommon when the water is right and you have done your home work. These are big ones. 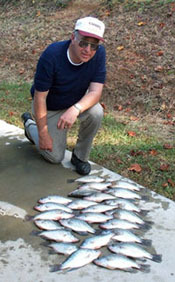 It takes you doing your homework, having the right gear and getting your bait in the right spot to land fish like these. These are big ones. 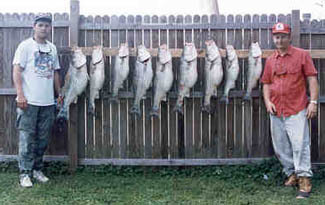 It takes you doing your homework, having the right gear and getting your bait in the right spot to land fish like these. Mr. Lyerly did his homework. These are High Rock crappies. 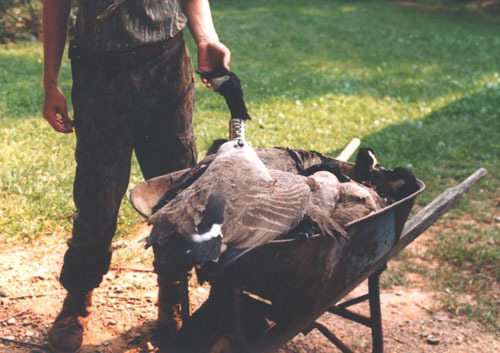 A recent successful Canada goose hunt in Rowan County. These proud sportsmen, from left to right. Brian Stewart of Columbia, SC, Sam Krohn of Salisbury, NC, Jason Patterson and Chip Miller of Spencer, NC are touting a near limit taken in an open pasture just a few miles from High Rock Lake. Rowan County is home to a very large resident population of geese that traipse back and forth from the river and local farm ponds to the local grain fields of the county farmers daily. The lake area also provides great duck hunting when the conditions are right. Again, Jason and Brian bring home the meat. Notice the leg band. 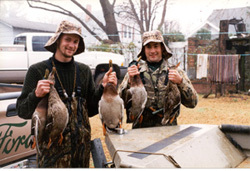 Often times when the hunting traffic gets to great on the main lake the birds move into potholes and marsh areas of the Yadkin/PeeDee lakes. 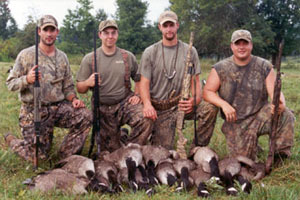 Some of the best hunts in Rowan/Davidson Counties are in very secluded places. 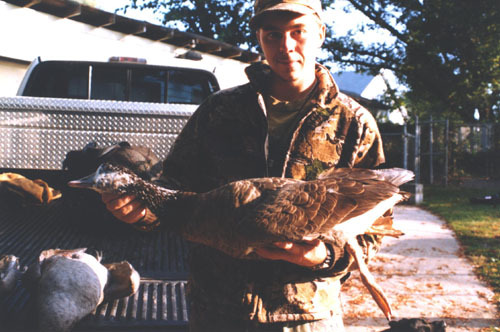 Please identify this orange nosed, orange footed, speckle bellyed head and necked canada goose shot in Rowan County.